Discerning business and high-end pleasure travelers accustomed to luxury accommodations will feel right at home in the Kazakh capital. 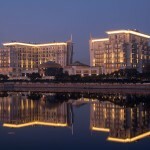 The Rixos President Hotel and new Beijing Palace Soluxe, located within walking distance to government and business centers, are among the city’s best. 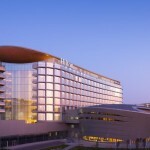 The 168-room Rixos Hotel offers a soaring lobby and first-class conference and ballroom facilities. It’s also known for its luxurious spa, steam room and pool. The hotel offers the full complement of business services, renowned restaurants and 24-hour room service. 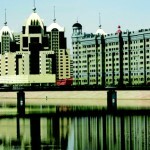 The Beijing Palace Soluxe is a standout among Astana hotels. Its Chinese-influenced architecture soars above near-by buildings and can be seen from around the city. The 151-room Soluxe is home to one of the city’s most luxurious spas and three fine restaurants. Among them is the unique Kazakhstan restaurant, which is on the 23rd floor and revolves to offer stunning views of the city and the steppe beyond. The High Bar, located on the 25th floor, also offers great views. And, in the height of luxury, the Soluxe offers presidential suites featuring two bedrooms, a study, a sauna and Jacuzzi, as well as separate quarters for security or assistants. Another quality hotel located a short taxi ride outside of the city center, but with outstanding views of the Yessil River, is the five-star Radisson Hotel. The Yessil River winds through the heart of the city and the Radisson is situated right on its bank. The Radisson offers all the amenities you would expect of a luxury business hotel and is located atop the Chocolate nightclub, one of the most popular in the city. Club Chocolate also features a large, couch-filled outdoor seating area which catches breezes off the river. 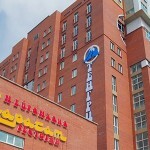 Smaller hotels, such as the King and Ramada, are scattered throughout the city and longer term corporate rentals can be found at www.astana-apartments.com. 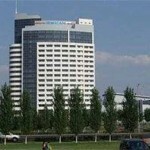 The Astana Central Hotel is a brand new business class mini-hotel. There are restaurant to enjoy European cuisine and conference room opened for business guests who might need to hold presentations or business meetings. 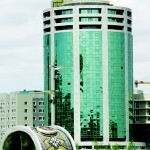 The Astana Marriott Hotel located in the heart of Astana’s new city center. The nearest great shopping, dining and entertainment is Astana Opera House and Khan Shatyr shopping centre. 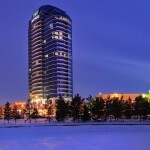 The Astana Park Hotel’s unassuming exterior belies its posh interior. 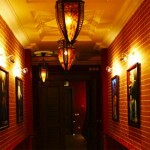 This hotel caters to VIPs, with billiards, karaoke, lounges, bars and a restaurant with international dishes. Modern, comfortable rooms, a rich atmosphere and, above all, privacy keep its VIP guests coming back to this hotel on the river. 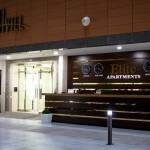 Elite Apartments Highvill is located in Astana, 2.7 km from Bayterek Monument. Khazret Sultan Mosque is 500 metres away. All units include a kitchen fitted with a dishwasher and oven. A microwave and kettle are also provided. Each unit has a private bathroom with slippers and free toiletries. Towels are available. 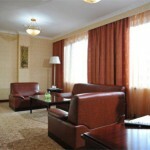 The Goldman Empire Hotel boasts Western service, Kazakh hospitality, and affordable prices. For travelers hoping to escape the noisy city center, the Goldman Empire, about 15 minutes from the heart of Astana, is a quiet refuge. And with a pool, sauna and luxury suites, guests won’t miss city amenities. 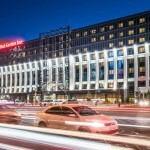 Within walking distance of numerous government buildings and close to the main business district, the contemporary Hilton Garden Inn Astana hotel is ideal for both business and leisure guests. 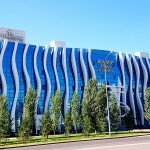 Khan Shatyr Shopping Centre is just one block away from the hotel, so guests can enjoy easy access to shops, dining, entertainment and popular Astana attractions, including Bayterek Tower and Duman Entertainment Centre. 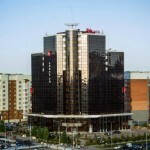 The Ibis Hotel is located near the main square of Astana. 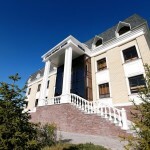 The hotel is close to the Kazakh Eli monument, the Palace of Independence, the Palace of Peace and Accord and is within easy reach of the airport. 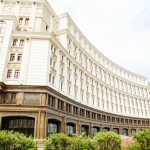 The Kazzhol is a new contemporary 10-storied hotel, which offers its guests a wide range of facilities and high standards of service. 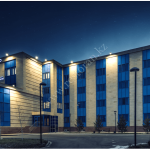 The hotel is situated close to the administrative centre and it gives an excellent opportunity to reach the most visited places of interest as well as business areas shortly. 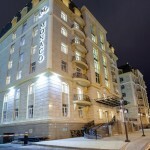 The Monaco hotel is located in the picturesque area between Parisian, Milan and British districts, between the historic and business centers of Astana. The hotel provides business people and tourists a fine opportunity to appear in the event focus of one of the young and dynamic capitals of the world. The complex «Monte Biancо» combines comfortable and functional rooms with a warm ambience. 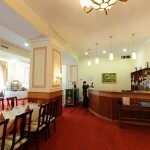 The hotel complex has a restaurant with excellent cuisine and excellent service. 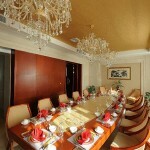 Banquet hall for 180 people and VIP restaurant for 40 persons. 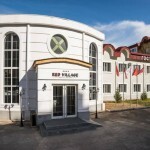 The Red Village is a modern hotel, located 30 minutes drive from the International airport and 7 minutes from the new railway station, only 10 minutes from business part of Astana city— Left Bank. 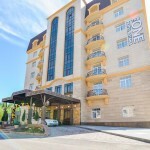 The Arc Residence is a modern business-class apartment located in the center of the left bank of the city of Astana, in the vicinity of the Mangilik El monument. 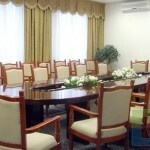 Apartments with a high level of security, service, cleaning services, high-speed Internet access, cable TV. Offering a spa centre and a swimming pool, Ritz Carlton Astana is set in Talan Towers in the heart of Astana’s business centre. Guests can enjoy the on-site restaurant and panoramic views of the city. 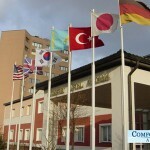 The hotel also offers car hire, and there is a business centre at the property. 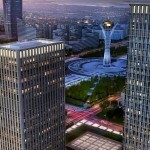 Bayterek Monument is 600 metres from The Ritz-Carlton, Astana, while Nurzhol Boulevard is 300 metres from the property. 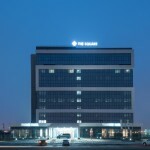 The nearest airport is Astana International Airport, 13.5 km from the property. Boasting a bar and free WiFi, The Square is located in Astana, 2.6 km from Bayterek Monument and 2.7 km from Expo 2017 Astana. Featuring on-site dining, the property is located within 500 metres of Astana Arena. 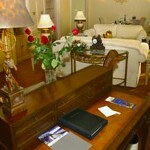 The accommodation provides a 24-hour front desk.